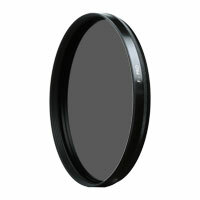 This 55mm Circular Polarizer Multi Coated Glass Filter is specially designed to be used with auto-exposure and auto-focus SLR and video cameras. It does not influence the metering systems of these cameras. Filter factor is 2.3 to 2.8.